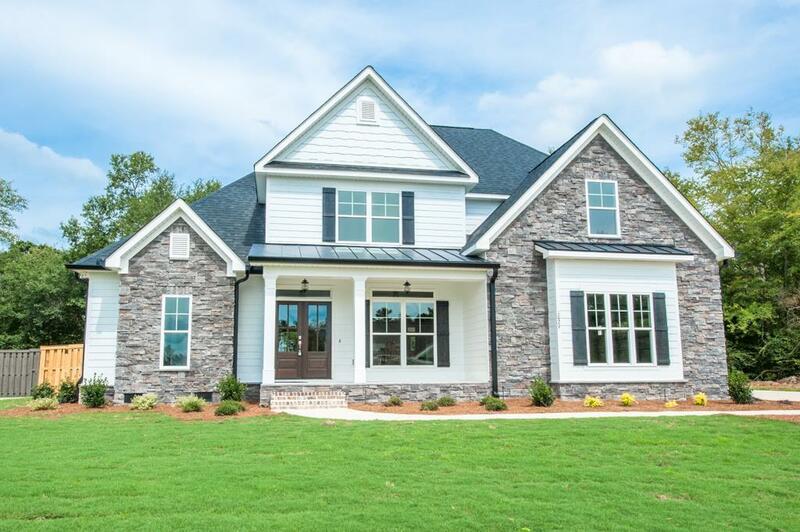 Custom build to include beautiful stone work, rocking chair front porch w/awesome accent arches plus side entry garage w/bump out perfect for add'l storage space! 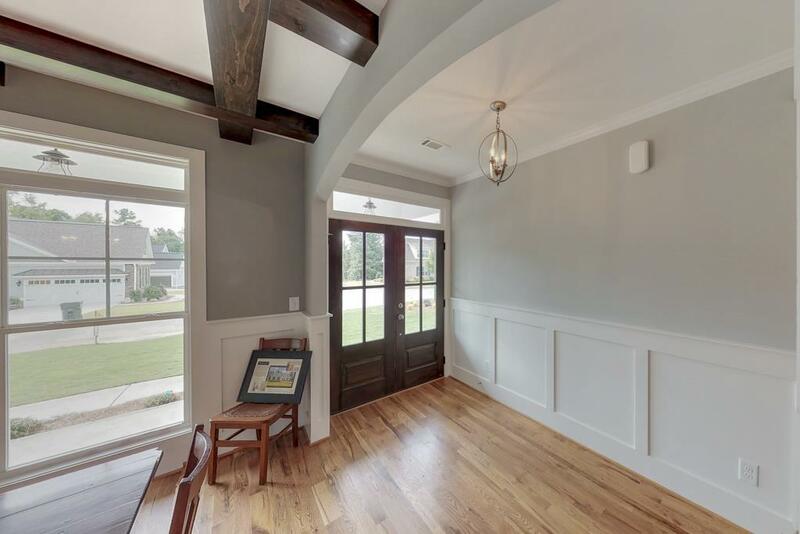 Through the fabulous front door you will find awesome wainscoting in the foyer & arched entry to dining rm featuring spectacular stained beam ceiling! 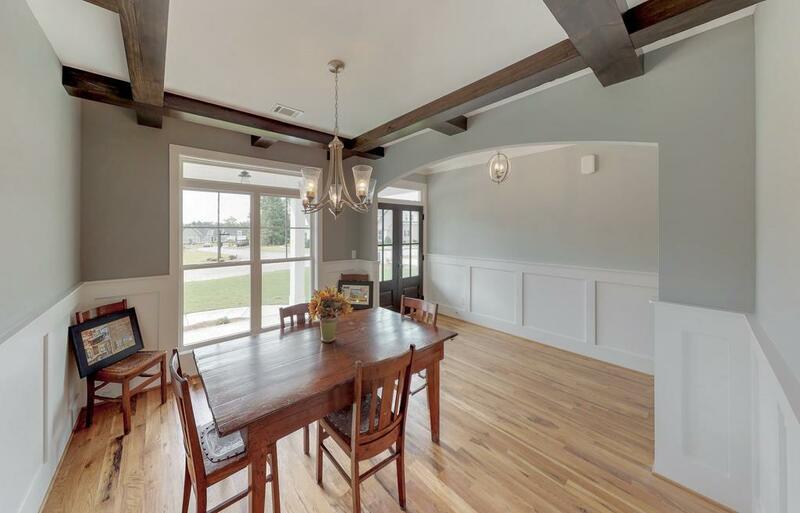 Living rm w/vaulted ceiling & gas fireplace w/angled bump out for great architectural detail! Open flr plan! 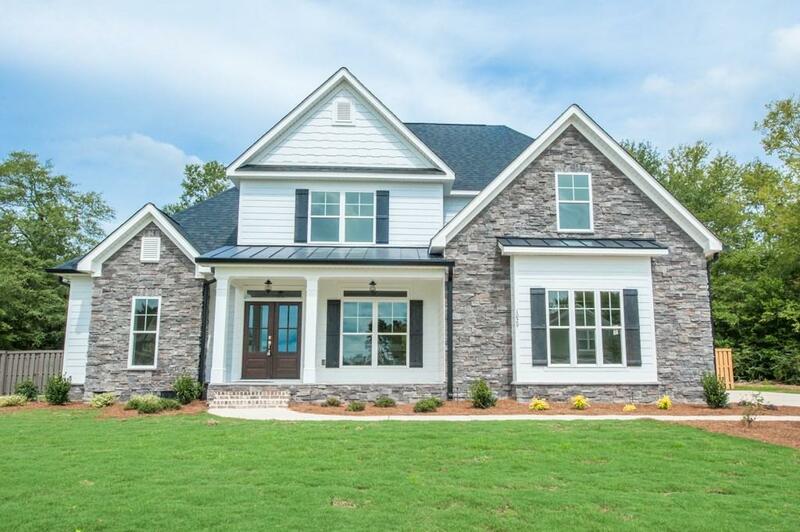 Kitchen w/custom cabinets, granite ctrs, ceiling beams, huge island w/breakfast bar & gourmet kitchen appliances including gas stove top, wall oven & builtin microwave plus lots of cabinet & pantry space! Breakfast room w/bay window opening to large covered back porch! Owners suite 1st floor w/tray ceiling and gorgeous beams plus lg walkin closet, double sink vanity, water closet & large shower plus tub! Mud room just off the kitchen w/custom built bench seat! Laundry rm w/utility sink! Spare bath w/2 vanities & water closet/shower area! Finishes to be similar to photos.